Oh my goodness I cannot believe how long I have left posting my Goodreads Challenge books for 2017. So now I have another BIG Challenge to post all the ones I have read so far this year. It is October, almost November and I am currently reading Book 77. So you can see how far behind I am. Wish me luck. 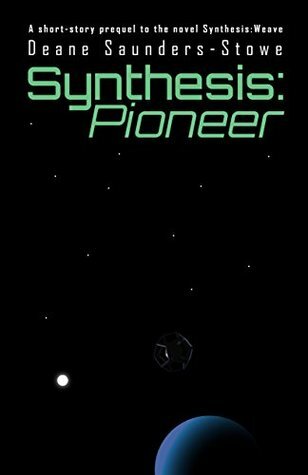 This is a very short SciFi story about 30 minutes of reading in which we get an introduction to ‘The Synthesis Series’, and a brief insight into the very varied crew on board the ‘Fluorescent Lightingale’. This tale centres around the linguist aboard who goes by the name of Calendula a talented young woman who uses all her senses. I particularly like how the author describes what she smells and hears upon boarding the ship. I really do not wish to say more otherwise the story may be spoiled, but I do know that I will be moving the main story up my reading list. 1660-1680 was the time the longcase clock reached near perfection. It bore a newly designed anchor escapement believed to have been designed by Gulielmus (William) Clement of London in the year 1671, thus giving the clock more accuracy. Some believe he is also the creator of the longcase that housed the longer pendulum. The real William Clement is also credited with building ‘The Turret Clock’ for Kings College Cambridge in 1671 for which he was handsomely paid £42. The clock is now housed in the Science Museum, London. This is where the magic was woven from. The story of the Clement family stems fictionally from Gulielmus (William) Clement. A big brass face, once bright and gleaming, barely shimmers as his long, black hands rotate slow, but sure. The intricately carved, flame mahogany long-case, was a warm golden reddish brown a year ago. Now dull, and softly muted by the accumulation of dust, it still wraps protectively around the golden pendulum heart. If you missed the first part of ‘Inspiration behind ‘The Magic of Grandfather Time’ Click HERE to go check it out. Part 3 will follow soon, and will give a little insight into the characters from the story.